You know by now that I will try to find a way to talk about Matt Bomer as often as possible and it you’ve been missing seeing this immaculate human on your tv screen then we’re all in luck. 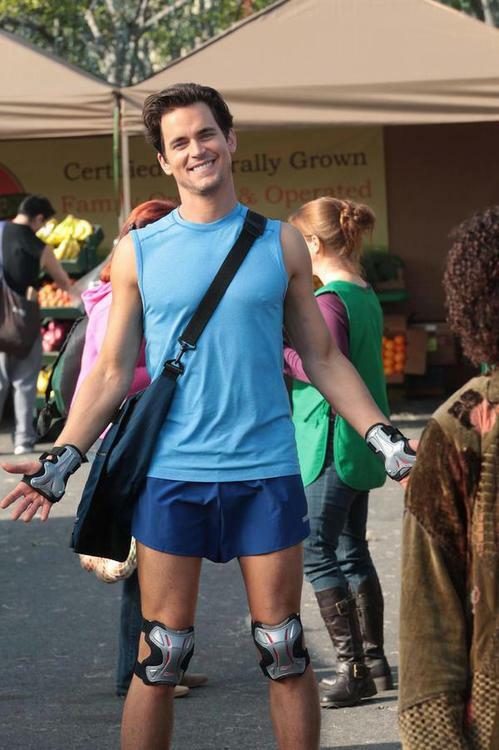 Bomer will be introduced into tonight’s newest episode of NBC’s The New Normal. You can also tell creator Ryan Murphy wanted to have Bomer sh0w as much skin as possible and who can blame him. I mean what else do you need to know? Tune in tonight at 9:30/8:30 central. Also, look at how damn smooth he looks in this pic..
Video – Hugh Jackman Breaks Professional Wrestlers Jaw On WWE Raw – Oooh She’s So BUTCH! I was really looking forward to seeing Matt Bomer star as Bryan’s ex, and it was a great way to begin 2013 for The New Normal. I couldn’t see the show last night because I was working late at DISH. My DISH Hopper uses PrimeTime Anytime to automatically record all four major networks during prime time, because I would have missed The New Normal if it didn’t. With all the shows returning for the new year, it’s sometimes difficult remembering to set up recordings, and I don’t have to do that anymore.